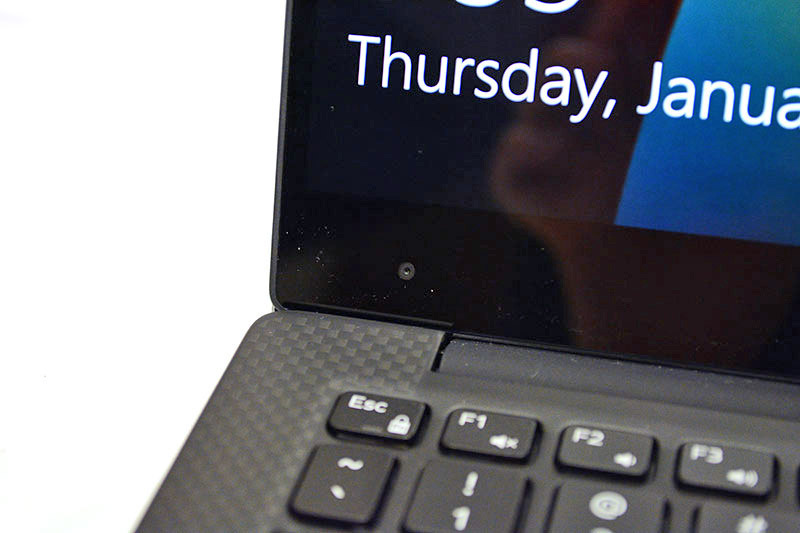 The XPS 13 is a very, very well-designed portable Windows ultrabook. Nothing else on the market comes close to its InfinityEdge display – it is a marvel of precision engineering. Opening the retail box you’ll find the laptop itself, one Charger, and the service manuals. A big thank you to our friends at Dell and Cohn&Wolfe PR for loaning the laptop for this non-paid review! At first glance, the XPS 13 (2016) looks like a very sleek and modern device. The XPS 13’s body is made of CNC-machined Aluminium coated in silver or gold, which looks beautiful and feels solid. The left and right sides of the XPS 13 contain the laptop’s ports, and get progressively thinner towards the front. The underside of the device is made of Aluminium as well. You’ll find the laptop’s rubber feet and cutouts for the fan exhaust here, which helps to keep the device cool in various surfaces. The XPS’s single fan dissipates heat quite well and we love that the rubber feet keep it propped up so that air can flow out easily. On the inside, you’ll find a carbon-fibre palmrest, which looks nice and feels very smooth to the touch. Above the keyboard sits Dell’s signature borderless InfinityEdge screen, which has Dell’s logo emblazoned on the bottom and a little webcam hidden away on the bottom left corner. Although the XPS 13 is classified as a 13-inch laptop because of its display, Dell has managed to squeeze all the XPS’s internals into the footprint of an 11-inch notebook because of the borderless, low profile nature of the screen. The XPS 13 placed on top of a 2013 Macbook Pro – it shaves off quite a bit of space here! Take a look at how the XPS 13 matches up to the overall size of the ultrathin 11-inch Macbook. Although the XPS is a little thicker and heavier, it still feels really light, compact and easy to bring around. We were able to bring it around and work on it easily on various environments from home to the office – even on moving cars and public transport. Plus points for portability! The overall construction of the XPS 13 is very solid. Compared to other laptops which are typically made of plastic and metal, the XPS 13 is well made and appears quite durable. We saw very little flex and creaking when we applied force to various areas of the laptop. It will definitely survive the general abuses of daily life, but we still recommend being careful while handling the device – this laptop is not rated for any form of water resistance, and the keyboard doesn’t take too kindly to spills. You’ll be surprised to hear that the exterior design of this laptop is pretty dated and has not changed since the it first launched in early 2015. Despite the lack in progress, we believe it’s a good move for Dell to maintain the same award-winning design. As the common wise saying goes – if it isn’t broken, don’t try to fix it. On the left side of the laptop, you’ll find a traditional barrel plug charging port, which charges the XPS 13 from zero to full in about two hours or so. Beside that, you’ll find a USB-C Thunderbolt 3 port which can be charge the notebook too. This port is mainly used to transfer files fast (40GB/s vs USB 3.1 10GB/s), or for connecting the XPS 13 to external monitors. The Thunderbolt 3 port can even work with Thunderbolt 3-certified external graphics card enclosures such as the Razer Core and AkiTiO Node, enabling users to do heavy creative work or even play graphically intensive games that typically require a gaming desktop to run. Thankfully, Dell has kept the traditional Type-A USB 3.0 port around, which means that you can still use most accessories and cables out there without a dongle. Beside that, you’ll find a 3.5mm headphone Jack and a battery indicator button with five LEDs, which displays the XPS 13’s battery life even when the XPS 13 is off. On the right side, you’ll find a SD card slot, another Type-A USB 3.0 port with SharePower (charges USB devices even when XPS 13 is off) and a Kensington lock slot, which can be used with a compatible lock to secure the laptop to a table. We love that Dell has struck a balance between practical use and future-proofing in terms of connectivity. Unlike Apple, which has removed ALL connectivity options save for USB Type C, Dell has implemented one USB C Thunderbolt 3 port in the XPS 13 while keeping a SD card slot and two USB Type A ports around just in case users need to plug in devices using the older USB A standard. Dell clearly understands that most users might not be willing to sacrifice function for form, and may not be ready to commit to using Type C alone – after all, most devices and accessories out there still use the traditional USB A standard. They’ve done a spectacular job by making the XPS 13 thin and light, while retaining all the accessible ports and features we have come to know and love. The XPS 13’s main selling point is it’s one-of-a-kind borderless screen, dubbed the InfinityEdge display. You get two display options: a Full HD 1920 x 1080 non-touch matte display, or a higher resolution Quad-HD 3200 x 1800 glossy touchscreen version. With its 5.2mm razor-thin bezels and 305 nits bright screen with accurate color reproduction, the XPS 13 offers an absolutely amazing viewing experience. Watching full-screen content on the InfinityEdge display is immersive and the details really pop, especially on the higher resolution QHD+ display. The XPS 13 (left) has razor-thin bezels – VERY thin as compared to the Macbook Pro on the right. Although the glossy panel isn’t very visible in direct sunlight, we can’t find any other issues with the XPS 13’s screen. We are very impressed at what Dell has achieved with InfinityEdge- it is a remarkable feat of engineering to shrink down the profile of the 13-inch screen to fit in an 11-inch body. No other laptop out there comes close – at least for now. Dell has bumped up the Intel processor in the XPS 13 from 6th to 7th generation – increasing performance by around 10%, and reducing power drain by around 25%. Though the solid state drive remains the same as the previous generation, it is still blazing fast as it uses the PCIE NVME standard. Thanks to the processor’s integrated graphics chip (Intel HD Graphics 620), the XPS 13 (2016) can work with heavy applications like basic video editing tools and Adobe Photoshop, Illustrator and Indesign. If you’re interested in the exact benchmarked performance of the XPS 13’s internals, we’ve run through a series of benchmarks and you can check out below. Beyond raw numbers and synthetic benchmarks – we found that the processor and storage speeds were more than enough for daily office tasks in real world usage. Working on spreadsheets, presentations and documents were a breeze. We also found that the XPS 13 worked reasonably fast for some light creative tasks on Photoshop and Illustrator too. Though the XPS 13 can run some modern games like Overwatch and Heroes of the Storm around 25-30 FPS on low settings, it can’t handle these games on higher resolutions – or even start premium titles such as Witcher or Mass Effect: Andromeda. However, you can hook up an external graphics card enclosure to the XPS 13 over Thunderbolt 3 for desktop-class gaming performance. That’s a AMD Radeon R9 Fury X graphics card in an Akitio Node enclosure hooked up to the XPS 13 – significant graphical improvement! Although the XPS 13’s speakers are tweaked with Waves’ Maxxaudio enhancements, we found that they lack depth and distort at high volumes. Audio is good enough for some light entertainment and music, but loses to competitors such as Apple’s Macbooks which have way better speakers – even on the older models. For a better multimedia experience, we recommend connecting an external speaker. Although the XPS 13 (2016)’s backlit keyboard feels great and has decent key travel, we felt that the typing experience feels a little too constrained for comfort. It suffers from the same issue as most netbooks and the 11-inch Macbook – the small form factor means a smaller than usual keyboard, which takes some getting used to when switching from a regular sized 13-inch or 15-inch laptop, or desktop keyboard. The soft-touch precision trackpad on the XPS 13 supports all the standard swipe and tap gestures found in similar devices, and works as it should. It doesn’t match up to the luxurious glass trackpad of the Macbooks, but it still works well for a Windows laptop. The XPS 13 (2016) has a built-in 60 Watt-hour battery, which Dell promises will provide 18 hours of battery life on regular usage. Unfortunately, this claim doesn’t match up to real life usage. We found that our QHD+, touchscreen XPS 13 lasted closer to 9-10 hours on light usage on 50% brightness – good enough for a day at work or school, if there are no power outlets around. Be warned though – once you crank up the brightness to 100% or run intense applications, the battery life takes a hit. You’ll get 5-6 hours of battery on moderate usage and around 3 hours on non-stop gaming. The non-touch FHD version of the XPS 13 will get you better battery life, since touchscreens and higher resolution screens drain the device’s batteries faster. We weren’t able to test the FHD version of the XPS 13 in our review, but based on publicly available benchmarks, the FHD version lasted 11-13 hours on light usage – around 2.5 hours longer than our QHD+ version. Although the XPS 13 doesn’t match up to it’s ridiculously long advertised battery life of 18 hours, it still performs outstandingly well and outstrips most of the competition. The QHD+ version offers shorter battery life, but you can get similar battery times as the FHD version if you crank the resolution down in settings, and get conservative on screen brightness and usage. Dell has achieved a marvel of engineering by fitting a borderless 13-inch display into an 11-inch body, and it goes without saying that this is a remarkably well-designed product we can find very little fault with. However, it does have some one nagging issue: The webcam placement is very weird and unflattering. We understand that the webcam had to be placed at the bottom to preserve the borderless appearance of the display, but it is tucked in the bottom left corner and offers some pretty unflattering views of the user during video chat. This is why people have nicknamed it the “nosecam” or “double-chin cam”. It’s not a big issue though – the angle can be rectified by sitting further back and raising placing the XPS 13 on a raised surface. Despite the quick fix, the camera angle is still less than ideal as compared to webcams placed above the screen. We also hoped that Dell used a Windows Hello webcam instead of a standard one, as Windows Hello allows users to sign into their laptop very quickly through facial recognition. The XPS 13 is available in Singapore, and you can get it at Dell’s online store or at common retailers across Singapore such as Newstead, Harvey Norman and Courts. Should you get the XPS 13? Despite the little flaw mentioned above, the XPS 13 is still a fantastic notebook and one of the best we’ve seen in the market to date. If you travel often and are looking for an ultrabook for work, school or light entertainment, this petite notebook is perfect for you. The borderless screen works beautifully, the internals are great for office tasks and light entertainment, and the battery life is great. However, if you’re looking to run some intensive tasks such as video editing or intensive gaming, the XPS 13 might not be the best choice as its integrated graphics card offers very light performance. You’ll be better off looking at the XPS 13’s bigger brother – the XPS 15, or Razer Blade and HP Omen. They come with a dedicated graphics card with much better performance and memory than the XPS 13’s Intel HD Graphics 620, and perform much better for gaming and intensive apps. The HP Envy 13 (S$1,299 onwards) is a budget alternative to the Full HD non-touch XPS 13 (S$1,899). It is well designed for an ultrabook has very similar internals to the XPS 13, but doesn’t match up to the XPS 13’s battery life, screen and trackpad. It also doesn’t have a Thunderbolt 3 port. The Lenovo Yoga 910 (S$1,999 onwards) is another option to consider if you’re looking at the FHD touchscreen XPS 13 (S$2,199). It is a convertible, so its touchscreen can be flipped around 360 degrees to be used as a tablet or in a standing tent mode. The Yoga 910 can be configured with more RAM and storage options online, and its battery life matches up to the XPS 13. However, it doesn’t have Thunderbolt 3, and definitely loses out to the XPS 13’s screen. 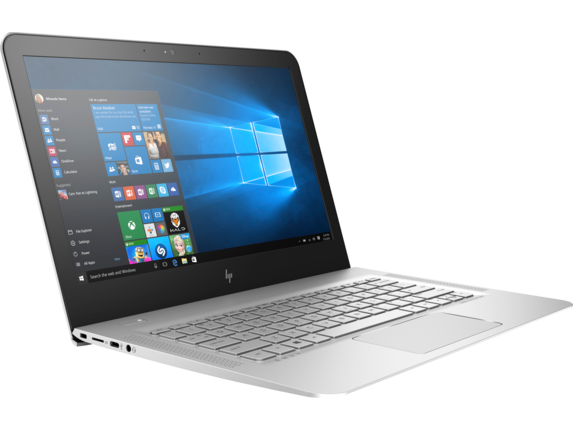 The HP Spectre x360 (S$2,199 onwards) is a laptop convertible with similar specifications to the FHD touchscreen XPS 13 (S$2,199). Compared the the XPS, the x360 has more features such as Type C fast charging, professionally tuned B&O speakers, and a Windows Hello Webcam. 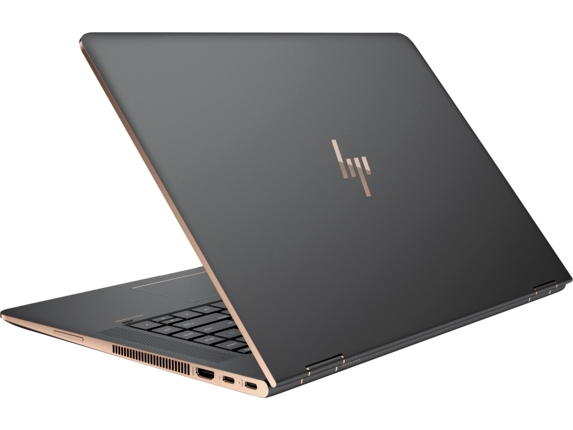 It also has more versatile hardware configurations on HP’s online store, allowing users to upgrade storage capacities from 256 GB to 512 and even 1TB. However, we have to say that it comes nowhere close to the XPS’s portability, battery life and borderless screen. The Macbook Pro 13-inch (2016) (S$2,188 onwards) is an alternative if you’re looking to use MacOS. The Macbook Pro is pricey and can get ridiculously expensive at higher configurations, but offers better build quality, more Thunderbolt 3 ports, as well as a far superior trackpad and typing experience. However, the XPS 13 surpasses the Macbook Pro 2016 in terms of screen, portability and battery life (7 hours and less on the pro vs 10-12 hours on the XPS 13). The Macbook Pros also lack the dual USB A ports and SD card slot found on the XPS 13. The XPS 13 isn’t the most powerful notebook, nor the lightest or cheapest – but it strikes a balance between performance, portability and price. It is built and designed well, has long battery life, and performs great for both work and play. Dell has future-proofed the XPS 13 practically, keeping the traditional USB A ports and SD card slot around while including one USB C Thunderbolt 3 port which can work with with performance-boosting accessories like external graphics cards. Although the XPS 13’s design hasn’t changed much since 2015, it holds up well against time and competition – no other PC maker has successfully implemented a borderless display into such a petite body as well as Dell has. The The Dell XPS 13 (2016) is a marvel of precision engineering and outstrips the competition in terms of battery life and portability. At its starting price of S$1,899, the XPS 13 a compelling buy versus the likes of the expensive Macbook Pro and the HP Spectre x360.